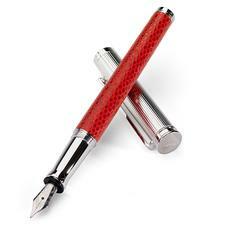 This beautiful collection of ladies Sterling Silver & Leather Fountain Pens are meticulously crafted in Germany by one of the worlds most renowned pen makers, whom have been manufacturing pens since 1918, and make beautiful, useful writing instruments. 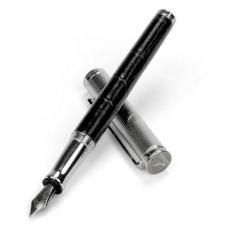 All our fountain pens are sterling silver and hallmarked when over the required hallmarking weight in the UK with Aspinal own unique sterling silver punch. Each pen is presented in an Aspinal blue lacquered solid wood presentation box and then beautifully gift wrapped and comes with a full 12 month guarantee.